Limited liability partnerships (LLPs) were introduced in 2001 to provide the flexibility of a partnership with the limited liability of its members. They have proved very popular, particularly for professional entities. A LLP must be distinguished from an ordinary partnership and the rare ‘limited partnership’. For all types of partnership, the general rule is that tax is not payable by the partnership itself but by each partner. Each partner’s share of the partnership income is added to his or her other taxable income. The partner pays tax on the total of his or her earnings, including their share of the partnership profits. Similarly, any capital gain made by the partnership is generally apportioned to each partner. This means that a partnership of any type is generally said to be ‘transparent’ for tax purposes. Each partner is generally taxed on a self-employed basis and not at source under PAYE. Any national insurance liability is collected under classes 2 and 4, rather than class 1 for employees. 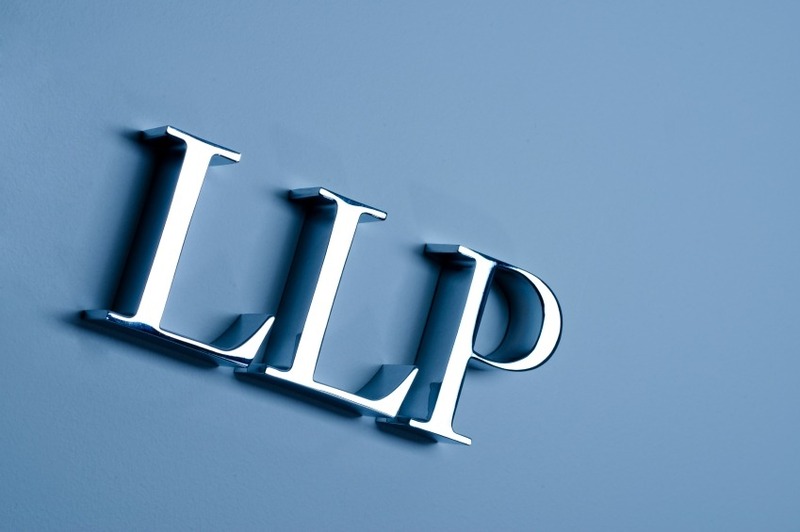 From 6 April 2014, there is an exception to this general rule for some LLP partners. This exception does not apply to partners in other types of partnership. The change is that a salaried partner is taxed as an employee and not as a self-employed person. These changes apply solely for tax and not for other purposes, such as for employment law. The fact that a partner comes within the salaried partner rule does not in itself mean that the partner could, for example, claim unfair dismissal if the partner is subsequently dismissed. Conversely, provisions in a partnership agreement that provide for payments during sickness, maternity, and holidays do not in themselves establish that the partner is to be taxed as an employee. The new provisions are also not primarily concerned with professional qualifications or experience. The consideration is whether the partner receives an income related to the overall profit of the LLP, including receiving nothing if the LLP makes a loss. Condition A is that the partner performs services for the partnership for a “wholly, or substantially wholly, fixed” amount. Condition A is also met if the partner receives an amount that varies but not in relation to the overall profit of the LLP. Such a payment is called ‘disguised salary’. The legislation does not define ‘substantially wholly’ but guidance from HMRC makes clear that this means that it applies when at least 80 per cent of the amount paid to the partner is disguised salary. Similarly, the condition is not met if the share of profits is not related to the overall business, such as being related to the branch where the partner works or to the personal performance of the partner. Condition B is that the partner does not have ‘significant influence’ over how the LLP is run. HMRC guidance makes clear that merely voting for a management committee does not, in itself, constitute ‘significant influence’. Condition C is that the partner’s contribution to the LLP is less than 25 per cent of the ‘disguised salary’, which it is reasonably expected the LLP will pay for the partner’s services in the tax year being considered. A partner may have contributed less than 25 per cent but is prepared to contribute more to avoid Condition C being met. In such cases, HMRC will accept a firm commitment to contribute sufficient capital within three months. The firm commitment must be in place by 6 April 2014. This is intended to help LLPs who have decided to reorganise their capital as a consequence of these new rules but may have difficulty in obtaining sufficient loan finance, particularly when many partners may require it. If someone becomes a partner after 5 April 2014, they must meet the 25 per cent rule within two months. • sums provided by the partner to avoid Condition C but in conditions that indicate that such provision is not permanent or where the partner otherwise does not share in the economic risk of the LLP. The new rules relating to LLP incomes can also apply to someone who is not directly a partner in the LLP but who performs services indirectly, such as by being director of a company that is a partnership. The new provisions may apply even when the LLP has no intention of avoiding or reducing a tax liability. It can, for example, introduce a tax charge where the partners agree to take a fixed amount rather than a full share of the profits as a means of allowing the LLP to accumulate profits for future expansion. The new rules allow the salaried partner to claim expenses that are not otherwise claimable by an employee of an LLP. The self-employed may claim a wider range of expenses than employees. This change can be particularly significant for high-earning individuals, such as those working for London-based practices of American law firms. The matter is further complicated by introducing the new rules from 6 April 2014, rather than from the start of the LLP’s accounting year. While the principles of the new rules for LLP partners may seem clear, there are many anti-avoidance provisions and many specific details within HMRC’s detailed guidance. Talk to us about these new rules for LLPs.